When driving, avoiding a crash and bringing your vehicle to a quick and full stop as necessary, does not just require effective brakes, but even more so for you to be able to react swiftly and apply the right pressure to your brakes. Despite this, there are still very few drivers who pay attention to their footwear when driving, the one thing that could best enable them to control their vehicles safely in an emergency. 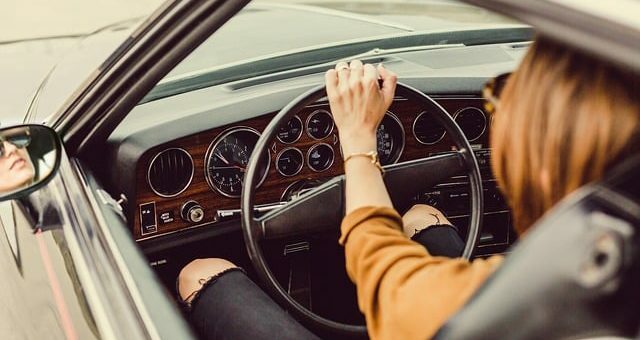 Women are one of the biggest culprits in this scenario, as they are more likely to wear footwear that is dangerous and not effective when it comes to driving safety. Many countries do not specify the appropriate footwear to wear in their legislation about driving although some countries require drivers to ensure that their clothing and footwear, does not present any hindrance from using the controls of the car in any manner. The choices you make on the road may not just have an impact on your own life, but the lives of others equally. The footwear that you use for driving must be able to allow you to feel and exert the pressure needed on the pedals for effective acceleration and braking. The appropriate footwear should also prevent you from pressing two pedals at a time, or hooking your shoe on the floor mat, and they should prevent jerky movements. When you need to drive for very long distances that place stress on your feet and ankles, as a supportive and comfortable shoe can leave your feet feeling more relaxed and prevent pain and foot fatigue, which in turn could affect your concentration and reaction speed. If you have to choose between driving with high heels, flip-flops or barefoot, then barefoot by far is your best option, although it is still not recommended. Driving barefoot can cause pain and cramping, and your feet can slip from becoming sweaty. You may also not have enough strength in your bare feet to apply the appropriate amount of pressure to the pedals. Wearing socks alone are even worse, as they will most definitely slip! They offer no support, come off easily, and get hooked on the pedals. Your heel is not on the floor, where you need it to apply pressure on the pedals, the heel can get caught in the floor mat, heels offer less grip and get stuck under the pedals. Wedges and platforms, worse choice ever!! Boots may restrict necessary ankle movement and catch against your seat. Thickly padded and soled running shoes may not be effective for safe driving. Make sure your shoes are comfortable and supportive enough for a long drive. The sole must not be too thick or thin, allowing you to regulate pedal pressure effectively. Basic trainers and flat soled shoes are your best options, just stay clear of a very wide sole. Make sure your footwear fits well with just enough bulkiness to protect your feet during a crash, but not so much as to hinder driving. Be extra careful in wet weather as slippery shoes can easily make your feet slip off the pedals. Look for comfort features such as cushioning and arch support. Likewise, look for a shoe that is lightweight and breathable. The sole of the shoe should offer effective grip and traction. The LabatoStyle Casual Loafers in a Moccasin style are comfortable, yet fun and funky shoes with an anti-slip rubber outsole. The perfect casual is wearing the shoe for the more extravagant individual with the perfect features for driving safely with. A moccasin style loafer available in eight fun and funky color design options. It is manufactured from pure cowhide leather with delicate stitching details. Flexible and stylish, ideal for driving with as well for any casual excursion. Features a very durable anti-slip rubber outsole. The footbed has a massaging function and keeps it shape. If you must drive with sandals, particularly those very hot summer days, then the ECCO Yucatan is your best option. Comfortable with a safe design and excellent traction, ideal as a sandal for driving. 100% durable Nubuck upper construction with multiple adjustable points and a neoprene lining for the most comfortable fit. An EVA footbed with microfiber cover for better cushioning and stability. A direct-injected PU midsole from foam, for long-lasting cushioned comfort. The Receptor technology offers exceptional stability and great impact support. An Omni-Directional, durable rubber outsole for outstanding grip capabilities. This is a very fashionable and sleek designed sneaker that is lightweight and safe to drive with. The Puma Drift Cat 4 is made for driving. Features a clean, sleek and lightweight, yet stylish design. A classic motorsport shoe with a cushy midsole and an outsole that offers superior grip and traction. Tumbled full grain leather uppers for longer and more durable wear. The midsole is lightweight and cushioned for ideal support and comfort. The rubber outsole features windows for traction and breathability. Available in Blue, white, black and pink color options. Moccasins and loafers seem to have the ideal construction and features to act as a safe and comfortable shoe for driving. The UGG Ansley is a winter moccasin lined with fur to keep your feet warm in cold conditions, when driving. Manufactured from pure and high-quality Pigskin leather, with dyed sheep fur on the inside for insulation and warmth during very cold days. Decorative stitching and a lovely moccasin design with a casual appearance. The molded rubber outsole is excellent for driving and both indoor and outdoor use. The suede leather uppers are likewise completely water resistant to keep your feet dry and comfortable in cold and wet weather. Available in twelve fabulous color options. The Jabasic casual Flat is designed specifically for driving with, it features and rounded Moc toe, is easy to slip on and off between stops and offers great grip. A classic solid check pattern with a rounded to design, excellent for all occasions and driving. An easy slip on and off style for when you need to change your shoes with ease. Durable and comfortable leather uppers with a leather lining and soft memory foam footbed for added comfort and support. The rubber outsole offers superb anti-slip characteristics, along with solid support and traction. The moc toe style features gorgeous brass detail on the top and is available in many colors, as well as neutral color options. Do not let your footwear become the reason for a life and death situation. Keep safe when driving, and wear appropriate footwear that is easy to drive with, posing no risk to your safety. I have chosen a selection of shoes that have no attachments or unnecessary niceties that could cause difficulty when driving, as well as shoes that have soles the offer excellent grip. As you can see they are all slip on models that are easy to put on and off, hence you only want to wear them while driving and change your shoes at your destination.